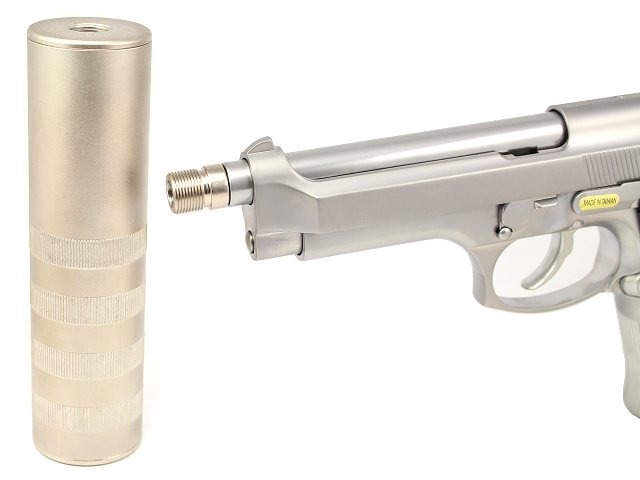 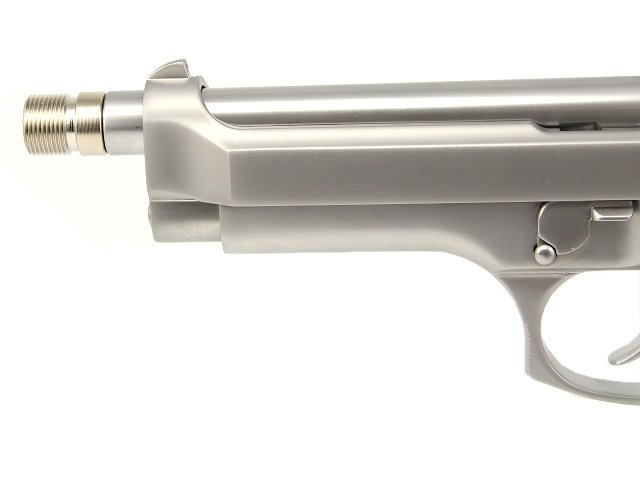 Description Full metal stanless steel suppressor adaptor for WE pistols (included blowback guns) . 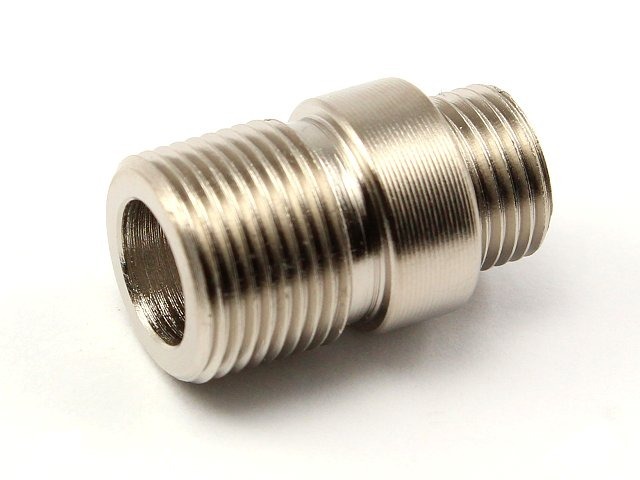 This adaptor allows to attach any common suppressor with anticlockwise M14 thread. 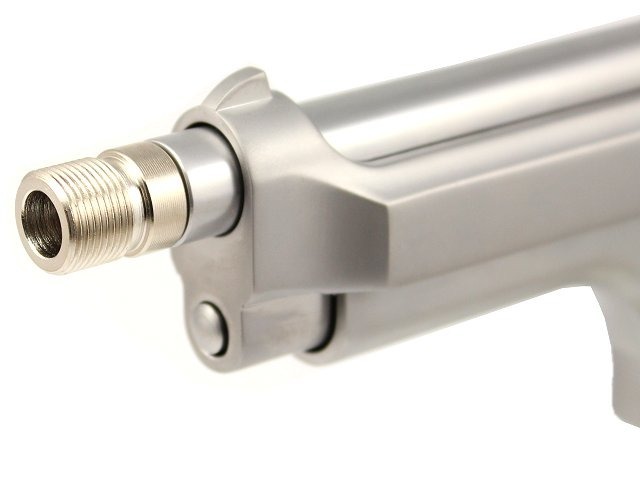 Suitable only for airsoft guns!